Naked Panther is a low profile contrasting strip that is suitable for stairs both internally and externally. It is an economical and easy-to-clean product that provides your stairs with extra safety and stability. The Naked Panther is easy to install and doesn’t require a mechanical fix. 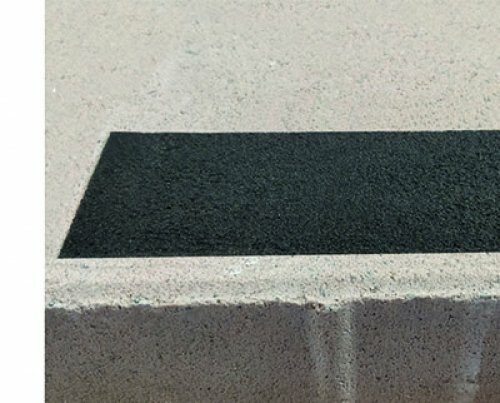 Naked Panther is a unique stair edge developed by Novaproducts, it is designed for the harsh conditions and environment of Western Australia. As with all stair treads, consideration for water damming behind the strip should be considered. 10mm break every 1000mm is a good way of providing the necessary water release. It is important to note that in order to comply with current Australian standards, the stair edge needs to contrast 30% to the stair tread. The strip must be laid within 15mm of the front edge and it must be within 50-75mm wide. This product can be applied to most surfaces and for a small surcharge, it is available in many custom colors. The final finish of the product may appear inconsistent due to many factors including roughness of the surface, inconsistent weather conditions, start and stop. We do not guarantee a smooth surface, straight lines, and front of house architectural appearances. This product is a hand applied finish which is dependent on the factors mentioned earlier. We do not accept issues where the finish of the product is considered looking as a defect. Our aim is to create the best finish possible on the first application as we take pride in what we do.